In the 1920s, many American pockets held beautiful coins like these – Buffalo nickels, Mercury dimes and Liberty Walking half dollars. Also known as the Roaring Twenties or the Jazz Age, the 1920s are memorable for many reasons, including prohibition, gangsters, flapper girls, speakeasies and bathtub gin! But they also stand out for beautiful and beloved U.S. coinage. 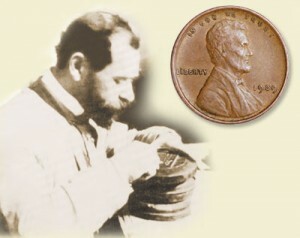 In fact, every denomination from the penny to the $20 gold piece featured an acclaimed design by an eminent sculptor, thanks to the efforts of President Theodore Roosevelt, who encouraged the nation’s finest artists to redesign America’s coins during the early 20th century. 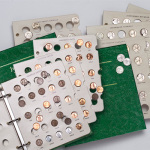 A few of those acclaimed designs could still be found in circulation when I was young, and I remember receiving a few Buffalo nickels, Mercury dimes and Liberty Walking half dollars in change. Though I knew very little about art, those designs were special – and they certainly stood out among portrait coins like the Roosevelt dime, Washington quarter and Franklin half dollar. 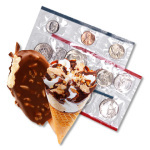 I even saved the older, classic coins for awhile… until the urge to spend them got too great! 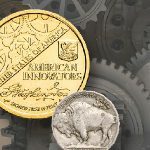 When I went to work for a coin company later in life, I learned that the iconic Old West images on the Buffalo nickel were created by prominent sculptor James Earle Fraser, who grew up on the frontier. And I discovered that Mercury dimes and Liberty Walking halves were designed by noted sculptor A.A. Weinman. Yet these were just a few of the classic designs from the 1920s. The beloved Lincoln cent with its revered portrait of Abraham Lincoln by Victor David Brenner was the first circulating U.S. coin to depict an actual person. The Standing Liberty quarter by sculptor Hermon A. MacNeil bore an acclaimed full-figure image of Liberty and an eagle in flight. And the beautiful Peace silver dollar by sculptor Anthony de Francisci featured a contemporary image of Liberty that reflected the youthful spirit of the Roaring Twenties. 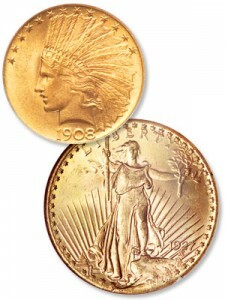 The 1920s also represented the last full decade of circulating U.S. gold coinage. 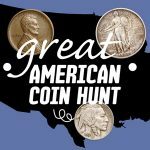 Sculptor Bela Lyon Pratt’s famous incuse (or recessed) Indian Head designs were found on America’s last circulating $2.50 and $5 gold coins of 1908-1929. And Augustus Saint-Gaudens, widely considered the foremost American sculptor of the early 20th century, created stunning motifs for the last circulating $10 and $20 gold coins of 1907-1933. These Saint-Gaudens designs are widely considered the most beautiful to ever appear on U.S. coinage. The 1920s were also an active decade in the 1892-1954 classic era of U.S. commemorative coinage, and many of these special issues were minted during the twenties. 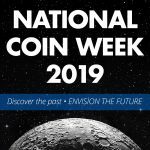 Statehood anniversaries were marked for Maine, Missouri, Alabama, California and Vermont, while other commemorative coins honored the Pilgrims, the battles of Lexington and Concord, the 150th anniversary of American Independence and other important milestones. 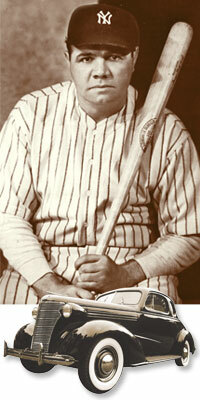 Sluggers like Babe Ruth were helping baseball become America’s passion, and automobiles went from luxury to necessity. Radio stations and movie theaters proliferated, jazz music was all the rage in speakeasies, and the Charleston revolutionized the dance floor. 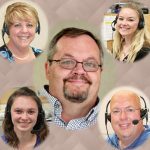 Easy credit facilitated the purchase of time-saving devices like the washing machine, vacuum cleaner and refrigerator, as well as the automobile, which transformed from a luxury to a necessity for Americans during the Roaring Twenties. Besides featuring America’s best-loved designs, U.S. coins that circulated in the twenties would buy a great deal more than in modern times. A Buffalo nickel bought a cup of coffee, a Mercury dime purchased a bleacher seat at a major league baseball game, a Standing Liberty quarter got you a gallon of gas for your Model T Ford, and a Liberty Walking half dollar bought movie tickets for you and a date. 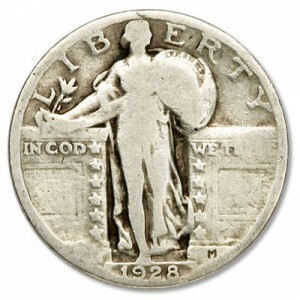 In the 1920s, a Standing Liberty Quarter like this could buy a gallon of gasoline. 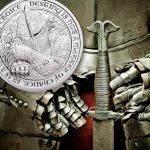 Because different coin denominations shared the same designs during the 19th century, and coins since the early 20th century have featured portraits of prominent Americans, I consider the 1920s the finest decade for U.S. coinage! Do you collect any of these beloved early 20th-century coins? Please share your favorites and recommendations with other collectors. 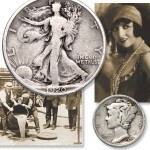 I realy like 1920 Mercury Dimes too. I happened to of got one in a roll of dimes I requested from MARSH Supermarket back about 2008. It was a great surprise, and find. I still have it locked away in a bank vault. lol. Nice score from the supermarket, Tim. I recalling getting a 1964 Kennedy in change from the drug store a few years back. I was thrilled! Thanks for sharing your thoughts, and happy collecting. Thanks for sharing your thoughts, Michael. We’re glad you enjoyed the article. Happy Collecting! THANK YOU. I ENJOY READING ANYTHING ABOUT THE COINS THAT I’M COLLECTING. I JUST WISH I HAD STARTED SOONER, BUT RAISING 7 KIDS DON’T LEAVE MUCH TIME TO PERSUE THE HOBBY BACK IN THE 60;S AND 7O;S! Wow James…with 7 kids, we can only imagine your time was certainly limited! Glad you now have some free time to spend with your hobby. Thanks for writing and happy collecting! Simply great to see such a rare and beautiful collection of old indian coins.. Thanks for those amazing insights! I am 70 years old, collecting for 50 years, I have more than 100 lbs in coins, I would appreciate advice on how to best sell my huge collection for fair $, I have bad heart problems and COPD, and I am in need of medical equipment and I can’t get around very well, can you help? I agree with your opinion re: the beautiful designs of the ’20’s. My Grandpa Started me collecting in the ’50’s. He had a pretty large collection. Maybe once or twice a month we would go to the bank & bring back a couple of hundred dollars of assorted coins & he’s put me at a desk to go thru. Every time I’d find quite a few to set aside, collectible, decent & sometimes get lucky & find something like an ’09SVDB. Keep them & return rest to bank & come back with more. You really, in those days, could find a number of good dates but after “64 it started getting harder. By late ’60’s, bankers had caught on & it’s very fortunate if you could find 1 coin worth keeping. But it was fun. I have to agree aagain, my favorites are coins of that period. L.H. Great memories L.H.! Thank you for sharing.